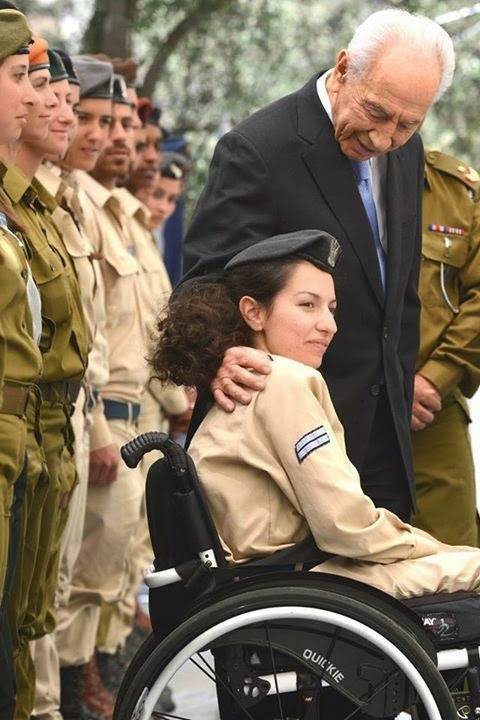 Special in Uniform is a world-first: a four-year training program that prepares youth with disabilities to serve in the Israeli Defence Forces (IDF) alongside their peers. No other nation's military trains people with disabilities for service. A decade ago IDF Lt.-Col Ariel Almog argued it was time to include youth with special needs and began “one by one to take youngsters and train them,” says Yossi Kahana, Special in Uniform co-founder. Today the program, funded by private donors and the Israeli government, works with 200 adults with a variety of intellectual and physical disabilities and plans to expand to military bases across Israel. BLOOM: What is the purpose of Special in Uniform? Yossi Kahana: In Israel, army service is the gateway to successful integration into society and the workforce. The entire population joins what is known as the people’s army at age 18, after Grade 12, for two to three years. So siblings, friends and neighbours go to the army and youth with special needs stay home. They receive a letter saying you're not eligible and you're released from service. A number of years ago the commander Lt.-Col Ariel Almog decided that it's time to include people with special needs because they add great ability and can contribute. We wanted to open the door to them. We did a pilot of 20 men and women and it became an official program and now we're launching it nationally. Yossi Kahana: The age range is 18 to 24. They have a variety of physical and mental disabilities. Some have physical challenges and some have autism or Down syndrome. We work with their special-education school so in their last year they begin coming one day and then two days a week to our program. We have an apartment where they're trained to live full-time, first a couple of days a month and then for longer periods of time. Parents of children with special needs tend to protect their children so they don't have the same opportunities to do things on their own—to go to the mall and shop or communicate with the public or learn how to be responsible. They don't know how to act in a public place. We're giving them an education they're not getting in special-ed school or at home. They start as volunteers and along the way most will become [paid] soldiers. 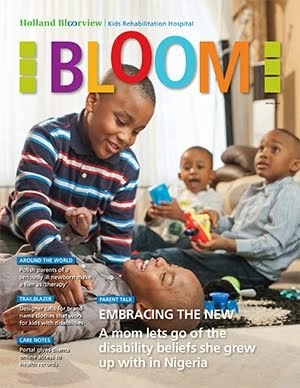 BLOOM: Are there any disabilities you can't accommodate for? Yossi Kahana: It's how they perform with the disability. They have to have a certain level of communication and understanding and learn how to behave among others and work on their own. They have to be able to function well in the community. Our job is to train them and coach them and push them. BLOOM: In a video posted online we see participants going to live on the base for a week-long basic training. Yossi Kahana: That's the last stage of training. BLOOM: What are some of the jobs they do? In the video some were packaging masks? Yossi Kahana: Each citizen gets a gas mask and batteries and medicine in a package. So some of them are in charge of putting that together. Others are taking computers that aren't working apart—for parts—or working in the kitchen or office. Each is assigned to a meaningful job and they are coming in each morning and doing their job. There is a program for soldiers with autism working in intelligence. They are analyzing what comes in on satellite maps from different locations and they can find a needle in a haystack. They have a visual ability that is 10 times more accurate than the regular person and much faster. BLOOM: What kind of support staff do you have to make this possible? Yossi Kahana: We have therapists, social workers and school special-ed directors, principals and teachers working with us. It's a big team and there's a lot of work behind each person that becomes a soldier. BLOOM: It sounds very expensive. Yossi Kahana: At the end of the day it's about funding. Initially we had philanthropists in Israel supporting us, and now we receive some funding from the government. We're trying to educate the government and communities around the world in order to raise more funds. BLOOM: What changes do you see in participants? 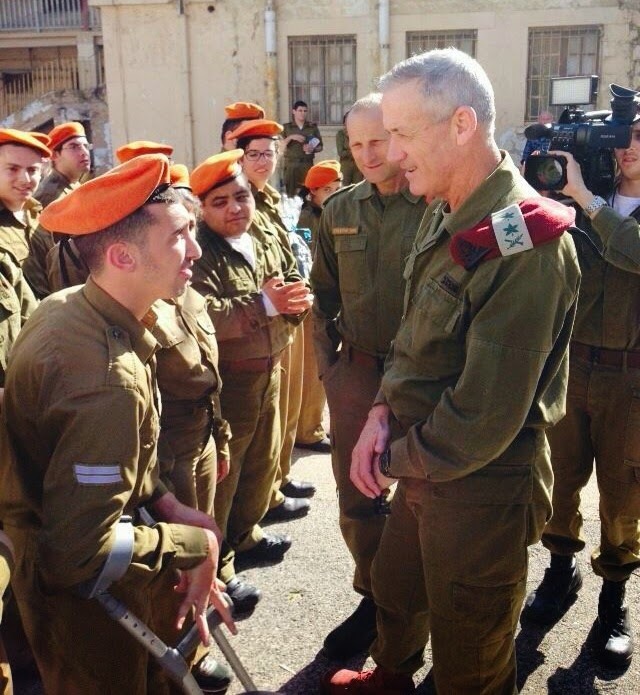 Yossi Kahana: When they're getting the uniform you see the smile and the joy and the self-esteem is rising right away. This is something like magic. Every day on the base they are having so much dignity. They start the program thinking they can't do anything. Their parents have protected them and they didn't get the challenge or chance to go out and try to live on their own. We see an increase in self-esteem and they do what they thought they couldn't do. They are doing a job, they know how to work, what the responsibility is. Just imagine when the family and neighbours see the person come home in uniform. It changes the environment. For the parents there is so much joy and pride. BLOOM: I just read an article in the Jerusalem Post about a survey that found that 40 per cent of Israelis don't want their child to go to school with a child with disability. It seems there's still quite a bit of stigma there. How do you make the army a welcoming place? Yossi Kahana: Israel is a young country and there's a lot more work to be done in terms of acceptance and inclusion. But before our people with special needs come, the commander gathers all the soldiers and educates them about these new soldiers: what they need, what the challenge is. We're preparing them. And we see some interesting things. One of our commanders told me that when she has a regular soldier who's a problem—who wants to go home or is not coming in on time—she matches this soldier with one of ours, and she sees an incredible increase in morale. Now that soldier has a responsibility to someone who has a disability and feels ashamed to run home when these guys are trying so hard. Hopefully our soldiers' interactions with soldiers with special needs will lead to more tolerance and acceptance in the real world. In the short run this program is making our soldiers more sensitive and tolerant to people who are a little different than them. In the long run, we [increase] the value of the army because no army in the world is accepting people with special needs and disabilities. Our soldiers are helping to build this army and they are sharing the same dining room, eating lunch together, and accepting our soldiers with special needs as part of them. It's a big change. We hope that in future every base in the country that has jobs will accept people with special needs. It will be huge. BLOOM: What difference will Special in Uniform make to these people's futures? Yossi Kahana: If we look at the big picture, if you serve in the army many doors are open to you. That's true for regular people and it's even more true for people with special needs who have difficulty getting a job in the community and being part of society. For them, the army is a golden gate to the community. BLOOM: How did you get involved in the program? Yossi Kahana: I'm the father of a child with special needs. My older son is serving in the army and my younger son, Gershon, who is nine years old, is autistic. My dream is that my younger son will one day join his brother in the army. So I helped to put together the Special in Uniform program. I co-founded the project and created the plan for it and advocate for it. This is interesting, but Israel has been ahead of the game for a long time. They have been accepting deaf soldiers for at least 20 years, and maybe longer. In the US, deaf men and women are not accepted into the military at all.